Christmas is definitely the time for getting dressed up, whether it's for a meal out leading up to the occasion, or on Christmas day itself. What are my favourite party dresses on the high street this season? My first choice is from the brand Pretty Little Thing at ASOS. I always think you can never go wrong with a floral print dress and so this one obviously caught my eye. I love the long sleeves as well which will make you feel a little warmer during the winter time which is what everyone needs! Again, the second dress is from ASOS but by their own brand. Of course I loved the burgundy colour of this dress but I think it's really pretty how it almost has the look of it being two pieces when it is only one. I think it's a gorgeous colour choice this time of year as well because it wouldn't look too out of place if you had to pair some tights with it. I then, of course, moved over to Miss Selfridge, because they are renowned for the most beautiful party dresses. They had such a selection, as always, but I popped on my list this black lace dress because I absolutely love the detailing at the top of it, it's so chic. Hollister's dresses are big on lace and I love that, as you can tell by my dress of theirs I picked up a few years ago in the sale (pictured below). This year's lace dresses from Hollister come in a few different colours, but my favourite was the black one because it seems to fit a lot more with this season and felt a little more dark-evening friendly, as this time of year provides. I realised I have chosen a lot of black dresses as I moved onto my fifth pick, which is a real rarity as I don't tend to go for black dresses, what with having long dark hair. I love the style of the spotty Topshop dress as I almost feel it's a winter version of my SuperDry playsuit I wore on holiday a lot this year, even with similar little tassels. The style looks really flattering and comfortable to wear to a Christmas themed party. When I popped onto the New Look website I went on a hunt for a dress with a little more colour, and ended up sticking with the floral theme I began with! But I think the red colour of this dress fits with the festive time of year, while again the longer sleeves are perfect for keeping warm. 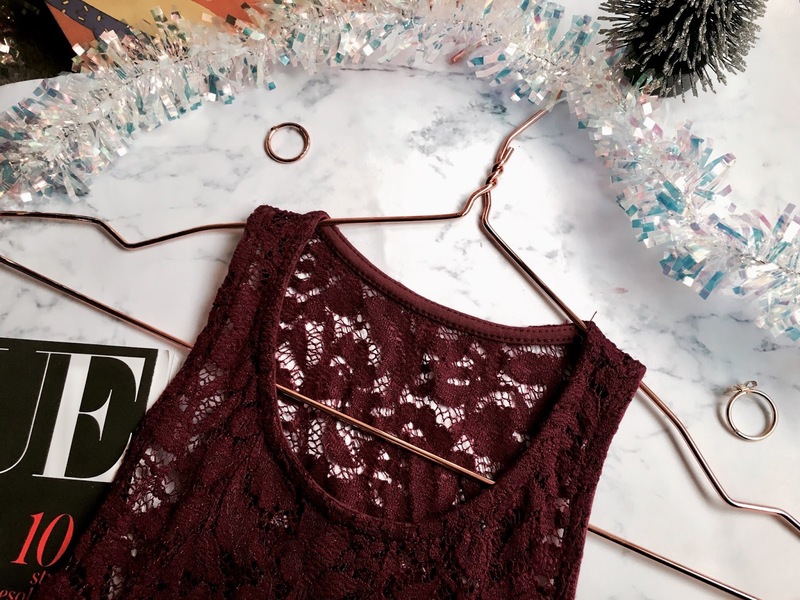 Are you getting dressed up to celebrate Christmas this year? 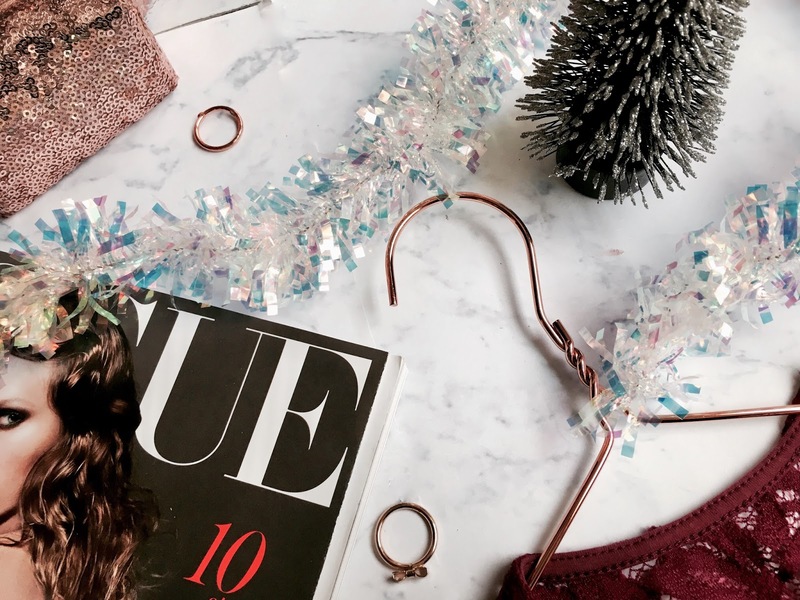 Who's Blogmas Am I Loving So Far?